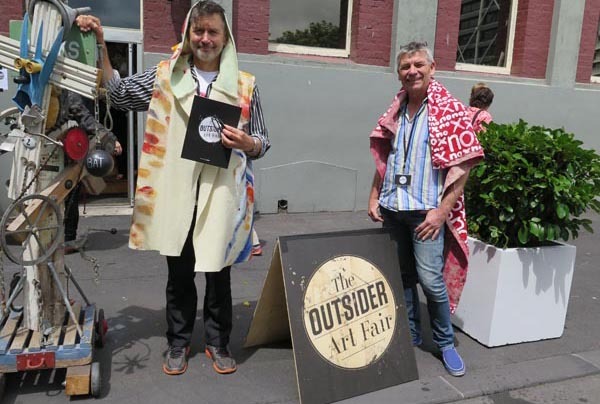 More days, artists, galleries and businesses are involved in the second Outsider Art Fair, taking over Auckland’s CBD from 17 to 26 November and reaching further into the community. The New Zealand Outsider Art Fair 2016 aims to promote and celebrate the art of self-taught artists and artists outside the mainstream art world. Erwin van Asbeck, Managing Director at Toi Ora Live Art Trust and General Manager of the Outsider Art Fair, says the event also wants to make art accessible to everyone: from people who frequently go to art galleries to people who have never stepped into a gallery. “This year, we want to create more opportunities for artists, business, galleries and the community to connect, and to see the value of art that originates outside the usual venues,” Erwin explains. Outsider Art Fairs are growing in popularity. Some, like New York’s Outsider Art Fair, are well-established as international platforms for artists. The first New Zealand fair was held in 2014 in Auckland’s Britomart and the CBD. Initiated by Toi Ora Live Art Trust and CAN, Auckland’s Creative Access Network, the 2016 Fair is supported by Creative New Zealand, Auckland Council, Chartwell Trust and local printing company Soar Print. An ArtExplore art trail map (a mobile app) will help people navigate and connect to all the pop-up venues and participating galleries. These include Gus Fisher Gallery, Tautai Contemporary Pacific Arts, Whitespace Gallery, Tim Melville Gallery, Fox Jensen, Anna Miles Gallery, Studio One, Toi Ora Gallery, Lopdell House, Helensville Art Centre, Corbans Estate Arts Centre, Mangere Arts Centre and All Goods – Whau Creative Space Gallery, LakeHouse Arts Centre and The Depot. All of the galleries have a guest curator to develop a show that represents their gallery and Outsider Art at its best. Melbourne-based Arts Project Australia, which includes a studio/workshop for artists with disabilities, is the international guest at the New Zealand Outsider Art Fair. A selection of its artists’ work will be on show and Sim Luttin, curator and manager, will be one of the presenters at the Creative Conversations event on Friday 18 November. The opening night will be on 17 November from 6pm to 9pm at Galatos Theatre (17 Galatos Street, off K’ Rd, Auckland). “It will be a great night with live music, art, fashion, a book launch and food,” Erwin says. Creative Director of the project is Stuart Shepherd. Curator, artist and leading exponent on self-taught art, Stuart also curated the 2014 fair. Creative Conversations, an open access network for people interested in creative practices in community spaces. The 3pm-5pm event on 18 November will consider the question, How can creative communities and marginalised voices contribute to our urban planning? Artists Talk, from 2pm to 4pm Saturday 19 November, the presentation of an artist/curator collaboration between Selwyn Vercoe and Bhavesh Bhuthadia from The Open Fort. Dream Home, a community-led installation, offering a visually poetic, diverse and participatory vision of the exclusive property market in New Zealand. It will be held upstairs in Room 10 of Studio One for the duration of the Outsider Art Fair, and is also the venue for the other public events. The Art Fair Wrap Party, from 5pm-8pm on Saturday 26 November. It will feature live music and the launch of a series of EPs by young musicians from Toi Ora's Express Yourself Creative Youth Partnerships programme. 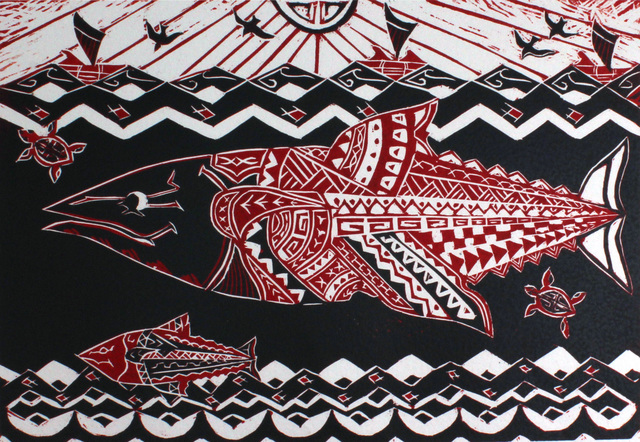 The exhibitions, events, workshops and artist talks are free or koha entry. “We’re really looking forward to seeing people’s responses to the artwork and hope Auckland will get out and take part on this great community experience,” Erwin says. More information about the Outsider Art Fair 2016, the programme and venues can be found at the New Zealand Outsider Art Fair website. Original generation time 2.5733 seconds. Cache Loaded in: 0.0612 seconds.